I have been making this chicken recipe for years. It is so easy and inexpensive. You can use just about any cut of chicken. It works well with boneless skinless chicken, drumsticks, and more. I have made this many times with leg quarters or just drumsticks. When my husband was in college we ate this a lot with leg quarters. Whatever you choose, it is really good. It is one of my favorite easy ways to cook chicken. When I find chicken on sale I buy a lot and then freeze it in this marinade. I mix the marinade up in Ziploc bags, add the chicken, and freeze. Thaw in marinade and cook. 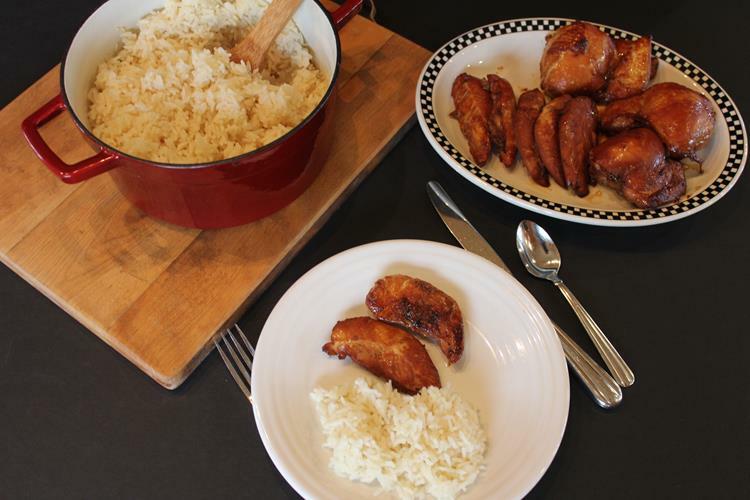 One of my favorite ways to serve this is with buttered rice and vegetables. In a large resealable plastic bag, combine the soy sauce, oil, brown sugar, ginger and garlic powder. Add drumsticks. Seal bag and turn to coat. Cover and refrigerate several hours or overnight, turning occasionally. Place chicken in a single layer on a foil-lined baking sheet or pan. Bake, uncovered, at 400 until a meat thermometer reads 180° and juices run clear. The time will very depending on the cut of chicken. Chicken tenders take about 15-18 minutes. Chicken breasts and thighs take about 20-22 minutes. Drumsticks or leg quarters take 40-45 minutes. This recipe is also delicious cooked on the grill. Lynn, thanks for coming by the blog. 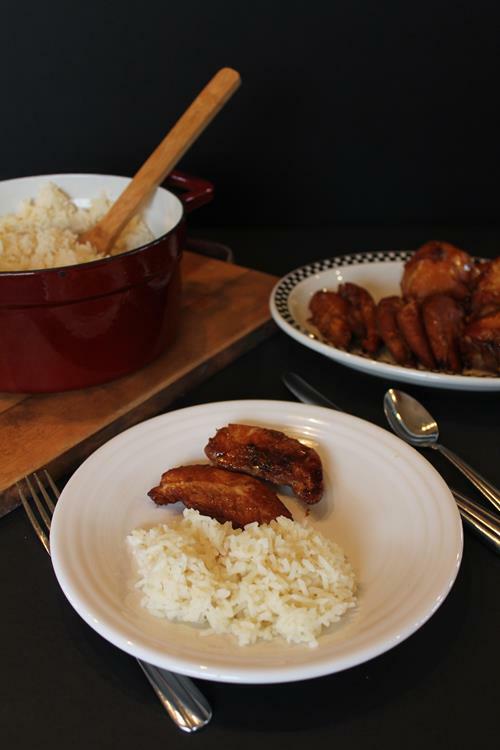 This Teriyaki recipe would have been great to post for the carnival. Anyway, you have a great day. Come back, soon. Lisa, I posted an archived recipe for your carnival. I hope you all enjoy it. Thanks for stopping by. Amy, thanks for stopping by. I am not gluten free so I know my recipes probably don’t work well for you. But thanks for stopping by and looking around. Thanks so much for linking to this for the “Frugal Food Series: Chicken”. I just love chicken “dump” recipes where you can freeze the raw chicken in a marinade, then thaw/marinate later for an almost instant meal. It’s doubly great in grilling season. Ooh, yum. I think I’ll try this and then grill the chicken! Thank you for sharing! I think it would work, but the texture would be different.